Click Image to Order Online! The two-sided, weatherproof sign is 18 x 24 inches, and includes a 30-inch wire stand. The cost is $30. Delivery included for addresses in Ridgefield. All others must be picked up. To order a sign click the image above to order online. Email graduationsigns@troop431.net with any questions. 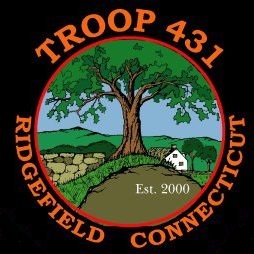 Thank you for supporting Troop 431 and Congratulations Graduates!